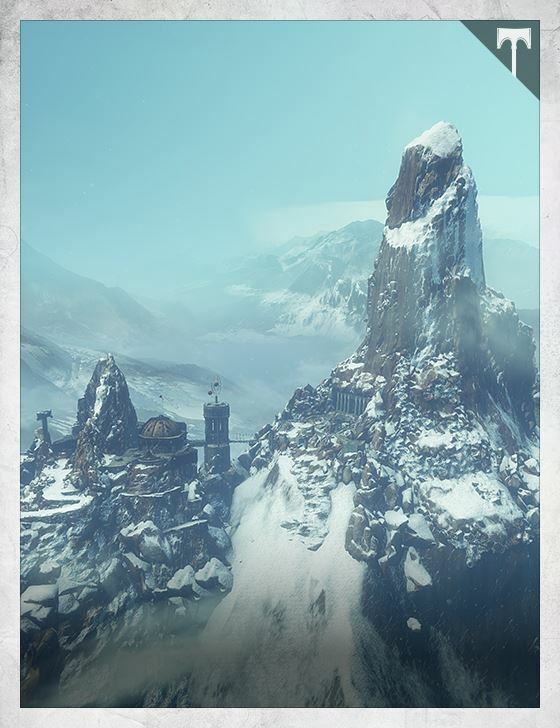 Long before the last of the Iron Lords descended into the Plaguelands, this peak was the domain of one of their own, Lord Felwinter. His maps and outposts show the risen Exo roamed free from the Aral Seas to an eastern border known as Citan’s Ridge (Open Citan 01-A, Citan’s Ridge 01-A) before taking the Oath. There is no evidence of human enclaves or encampments within this area, nor survivors within the Cosmodrome walls, but extensive one-way audio recordings with an unknown entity survive (open Felwinter 9-C; open Rasputin 62-G; scan for possible links). A chance meeting with Lord Timur in the Mothyards led to Timur’s first reports on the promises of SIVA. Felwinter’s conscription into the ranks and the raising of the Iron Temple commenced shortly thereafter.